Since a very young age, Clay Toews (husband of AgCareers.com Talent Solutions Sales Specialist, Kacey Toews) has had a strong passion for agriculture and livestock. 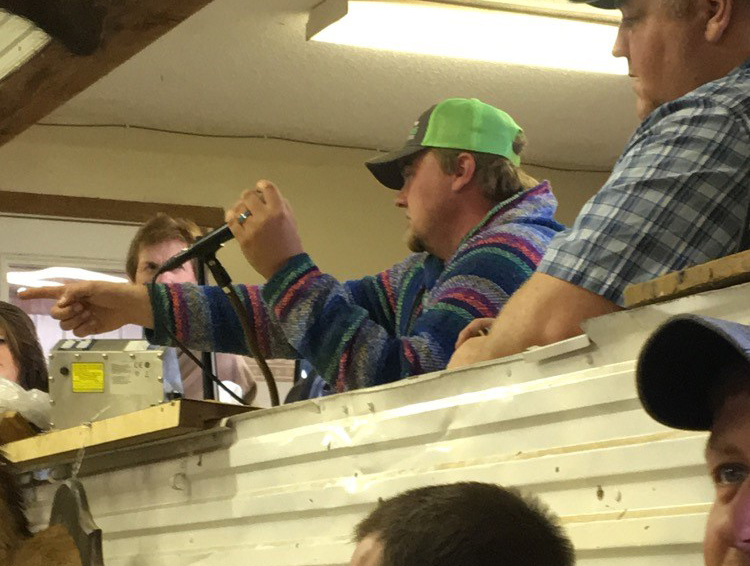 He grew up going to sale barns across Kansas and ever since a young age, he knew he wanted to be an Auctioneer someday. Shortly after graduating High School, he pursued that passion and has been in the auction block ever since. He also gets the pleasure of serving many customers order buying livestock. What is your title and how long have you worked as an auctioneer and order buyer? I have been a Livestock Auctioneer and Order Buyer since 2011. What made you want to become an auctioneer and order buyer? Growing up in sale barns all over Kansas really spurred my passion for livestock and that way of life and I wanted to take part in the opportunity to bring stockman and buyers together behind the auction block and in front of it. I am lucky to be able to sell the animals and provide a service to my customers. I have a 5-year-old that recently started kindergarten, to say that the alphabet is on my brain daily would be an understatement. Thought I’d bring a little of that alphabetical fun to our blog readers! 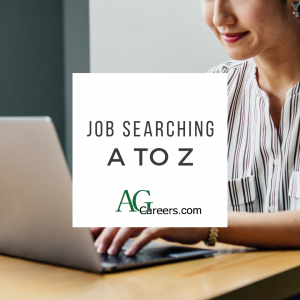 Here is AgCareers.com’s suggestions for the career search from A to Z. A: You’re kidding? 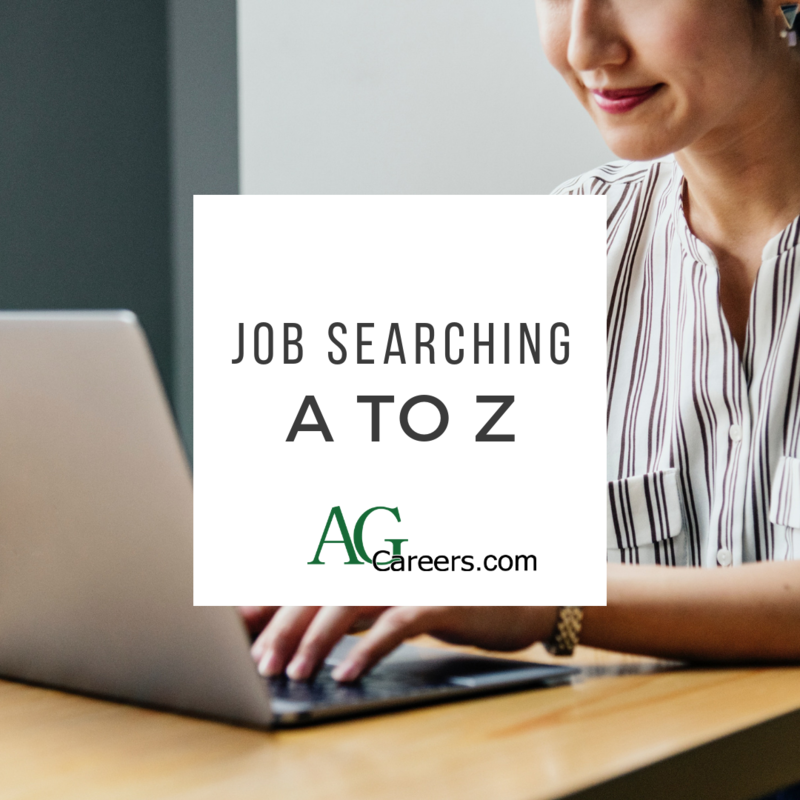 AgCareers.com, of course! B: Behavior based interview questions – know how to answer all parts: situation, action and result. C: Cover Letter – make sure to craft a cover letter for each application and customize it for that role. D: Decline – you might need to decline an offer. Do so in a polite manner. Remember, the agriculture industry is small! Parents! A college student took along their dad for moral support and to listen-in to their kid’s conversations with employers at a career fair. Even if your mom or dad is a “helicopter parent,” insist they stay away for the day. They won’t be able to join you on the job anyway! Poor dress choices. Think about the power of first impressions. We’ve seen students who look like they just rolled out of bed with wrinkled jeans, mismatched socks, and a bad hair day, chewing gum and intent on their mobile phone. Dress appropriately for the professional atmosphere, not like you’re ready for a night out. Ensure you can bend over without embarrassment! Shoes are a common problem, so make sure yours are clean and comfortable. 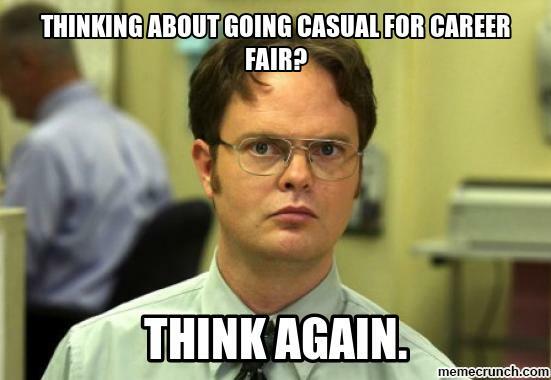 Practice wearing your new dress shoes before the fair; stay clear of too-high heels or platforms that make you stumble. Do you find yourself in a new full-time role, brimming with ambition, ready to take on the world but desperately in need of a plan for your career path ahead? The steps below can be a good starting point for those who want to map out their career path or those who would like to proactively find ways to stimulate growth and retention of great employees. Recognize that everyone has their own list of duties and responsibilities. So even the best supervisors can’t commit as much time as they would like to your development. 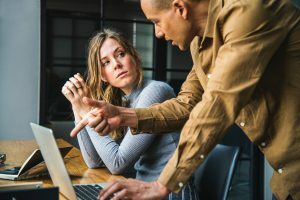 You have to take ownership of your career path discussions – based on your own interests and planning – and not rely on someone else to start the conversation. Before you have any discussions with your supervisor, reflect on your strengths and weaknesses. Assess which career paths within the organization interest you. Compare your perceived weaknesses with skills needed in the positions you aspire to. Identify those top skills you believe you may need to work on in order to even be considered. Make an outline of this assessment – maybe a clean one after your messy brainstorm – to prepare you to have a clear and succinct conversation.